Kanye West continues to carry the torch for freedom of thought, knocking down the liberal Democrat narrative of brainwashed Trump bashers and racial divides. He’s exposing the socialist news narrative and elite construct of division by race, plus highlighting the media construct victim card of oppression by ethnicity in the mindset of the masses, then challenging people who simply regurgitate what they are told to believe, to escape that mental prison. 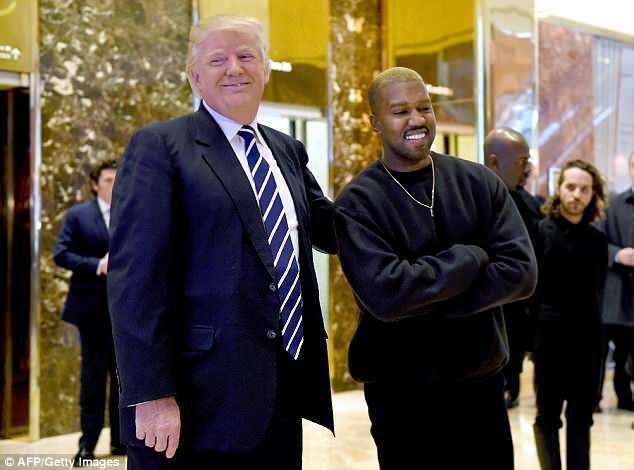 Kanye West is being prophetic and living up to the genius, that he has often been touted as, by simply speaking his mind with newfound dragon energy, in an unapologetic manner, in order to wake people up. Yes, on Tuesday, Kanye West appeared live on the celebrity news show TMZ, to share free thinking and logical sense, thus delving out a major wake up call to people across the world, of all age groups. TMZ looked stunned as Kanye shattered the liberal narrative of division in one fell sweep, touching on race, slavery, indoctrination, Barack Obama’s terrible presidency being likened to everyone being on opioids, plus further reiterating his love for president Donald Trump. So, Kanye West is clearly breaking down the barriers of socialist constructs to keep people out of a mind state of oppression and victimization, based off of the colour of their skin. So, let’s take look at these edited clips from the TMZ interview down below. Just watch for the guy who works for TMZ at the end of the video. His name is Van Lathan, who actually makes no sense at all whilst trying to lecture Kanye, showing that he’s clearly still stuck on the ideology of the Democrat plantation of the subsequent mental prison of which Kanye earlier emphasised, back some 154 years ago (since 1865), the year when slavery was officially abolished by Republicans. Van Lathan’s words at the end sum up the ridiculous agenda of the left that’s being pushed by the mainstream media, and frankly, we are not surprised. What doesn’t TMZ understand about the ‘Make America Great Again’ hat? Kanye West is entitled to his freedom of speech, whilst Van Lathan perpetuates his opinion onto Kanye West. That’s the very essence of another person trying to censor somebody else’s viewpoint, and we don’t feel we needed to hear from Van Lathan at all. Who even is he? Before the weekend, music producer and rapper, Daz Dillinger, colleague of Snoop Dogg and a known Crip gang member, uploaded a video onto social media, where he encouraged violence against Kanye West, asking for Crip gang members to, “F**k him up,” if they see him. A classless move from Daz. What him and Snoop don’t realise is that they have now lost tons of fans worldwide, making their past musical legacies into complete trash. Their CDs will now make for great frisbees and coasters this summer, never to be listened to ever again. Daz’s threatening actions towards Kanye says a lot more about the ingrained mentality of feeling oppressed, that the thought of liberal mainstream and Democrat narrative want you to subscribe to, in order to hold you back. Kanye going against the grain of this mental prison isn’t something that they can handle. They say that white people are the problem (brainwashed! ), even though Snoop Dogg bakes cookies with Marsha Stewart and such. Hypocrisy much? You got it! Kanye also stated that he doesn’t think that he should be marginalised for being black, or for only being a Hip-Hop artist, but he’s more importantly a human being, thus shutting down the lefts obsession with race, yet again. Let’s now see some recent Kanye West tweets. We know that he’s waking countless people up around the world, shattering the liberal agenda matrix of the Obama era. But still, the mainstream media want to keep on pushing their divisive racial agenda, just like Van Lathan at TMZ already did. we are programmed to always talk and fight race issues. We need to update our conversation. One thing Kanye West needs to do is to stop apologising to liberals, and those perpetuating the satanic mainstream media narrative of division, which he will learn in time (you can’t make everyone happy when you’re being real! ), in just the same way that many people who share his views aren’t even given a platform to speak it from, nor have the guts to come out and tell it like it is! Furthermore, Kanye West tweeted out quotes from retired conservative intellectual, Thomas Sowell, as follows. Number “5” on socialism is an absolute truth, as are the rest of the quotes too. Take a look! People need to lay off Kanye West and let him say what he wants to say, and let him support who he wants to support, and more people should come out and voice their opinions that are aligned with Kanye’s thinking, because he’s not the only one, who thinks for the progress of eliminating racial think tank constructs, used to hold people back in society. Kanye West is spreading awareness with his voice, whether you agree with it or not, and that’s a great thing for free speech and for others that can be encouraged to express their own freedom of thought, now and in the future. Kanye West likened himself to Harriet Tubman and Nat Turner, historical figures that freed slaves, which is what Kanye is doing in this modern essence. So, let’s sign off with more of Kanye West’s revolutionary tweets. 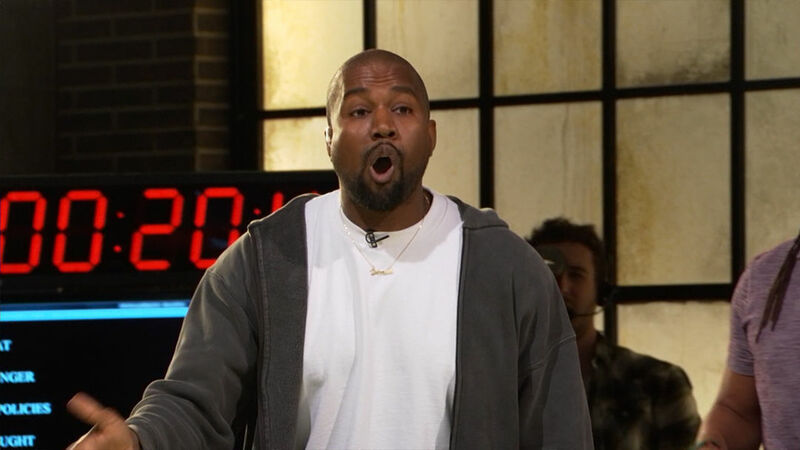 Do check out the whole Kanye West TMZ interview right here below! A historic moment of genius to nullify the media manipulation and mainstream medias control over the minds of the impressionable masses. Watch a “Genius” address TMZ! Previous Article← What is Fake News and What Does News Brainwashing Look Like?